UNION COUNTY, NJ — The Union County Board of Chosen Freeholders invites members of the community to honor the memory of the 60 Union County residents who perished in the World Trade Center attack of 2001 by visiting the Union County September 11th Memorial on Tuesday, September 11 at Echo Lake Park in Mountainside. The Memorial is open from the morning hours until 9:00 p.m. on September 11. Members of the Union County Sheriff’s Office will provide a uniformed Honor Guard standing watch at the memorial from 6:00 to 9:00 p.m. The public is invited to bring and light candles in memory of those lost in the attacks. “Over the years, the September 11th Memorial has provided our residents with a communal place for quiet reflection. On this date, we honor and those who perished, we remember the many acts of bravery that occurred that day, and we resolve, now more than ever, to show our strength as a community,” said Freeholder Chairman Sergio Granados. The Union County September 11th Memorial incorporates elements of design that include all three sites where lives were lost. Two girders recovered from the ruins of the World Trade Center are arranged within a five sided area representing the Pentagon, and an Eternal Flame represents those who died in Pennsylvania along with members of the Armed Services and emergency responders. In addition to these elements, the names of the 60 deceased Union County residents are etched into the memorial. Dedicated on Sept. 13, 2003 the memorial was constructed through private donations including in-kind work by labor unions and materials at cost. The Freeholder Board worked with residents of Cranford, Elizabeth, Kenilworth, Linden, Mountainside, Rahway, Scotch Plains, Summit, Union and Westfield in planning and building the Memorial. It is located near the Springfield Avenue entrance of Echo Lake Park on the border of Mountainside and Springfield. 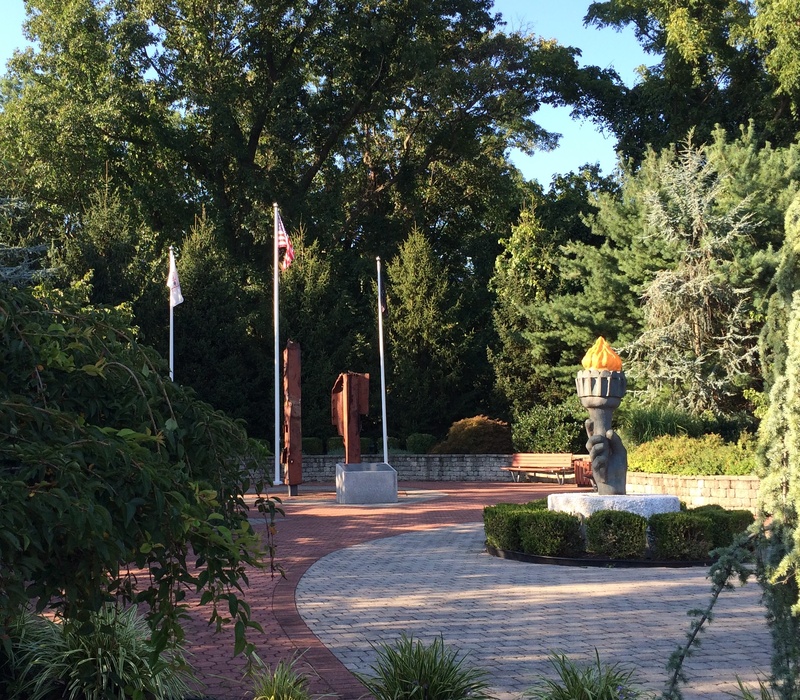 For additional information on the Union County September 11th Memorial, visit online at ucnj.org/9-11-memorial.